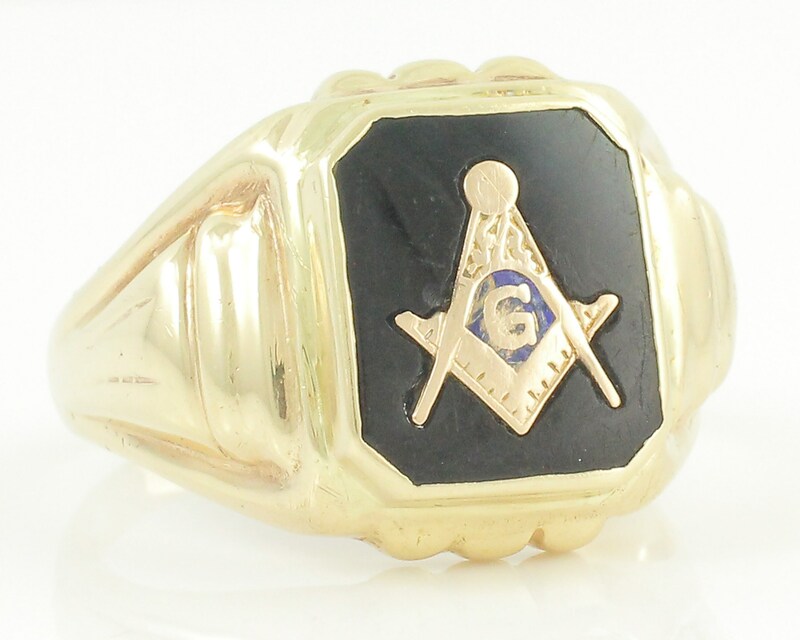 Vintage 10K Man's Masonic Ring of 10K Yellow Gold and Black Onyx. 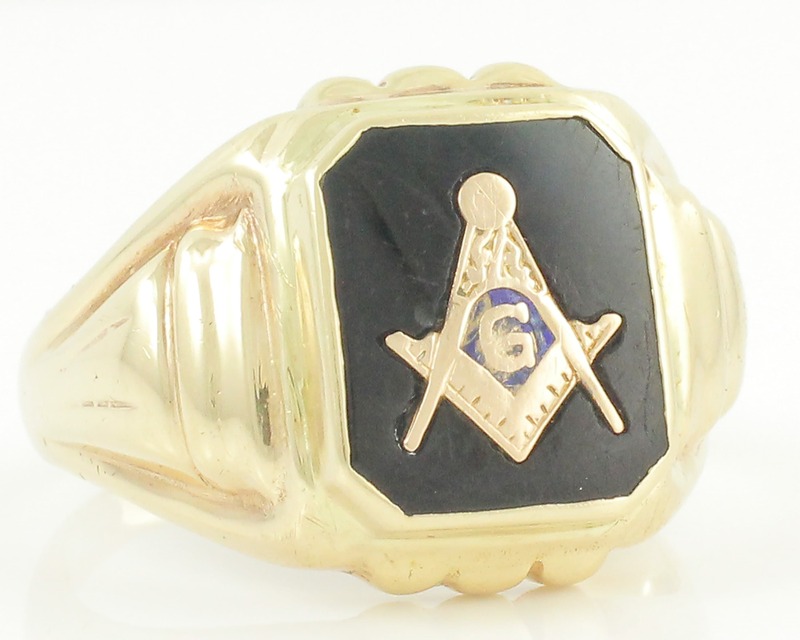 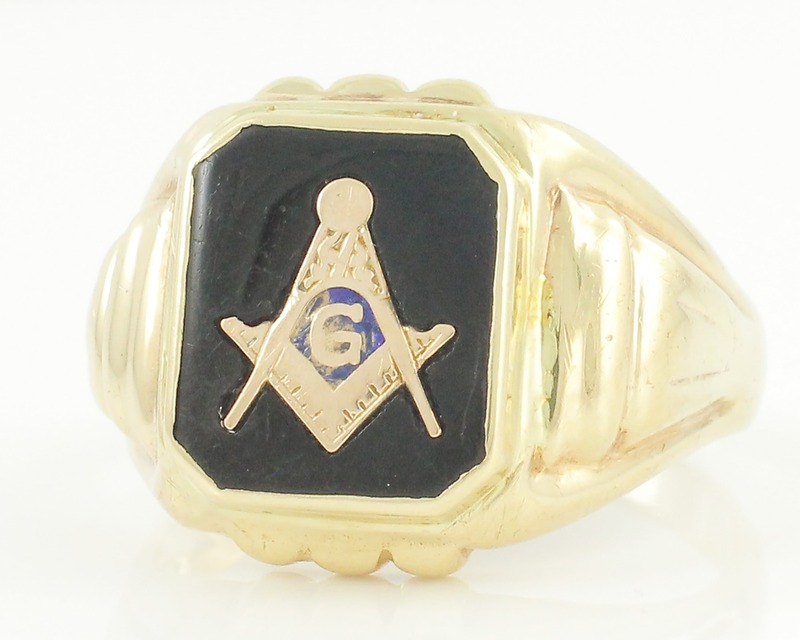 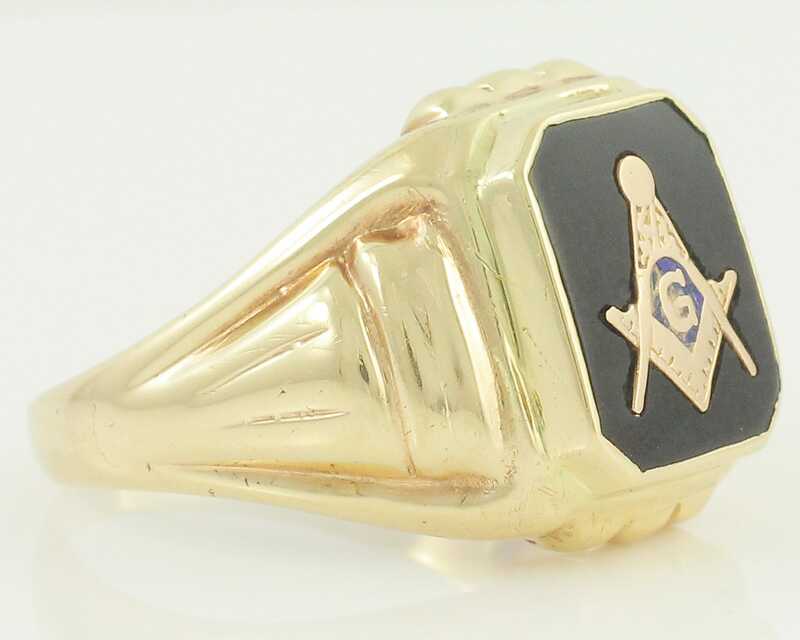 Made about 1940, this 10 karat yellow gold ring features one bezel set octagonal tablet of black onyx inset with the Masonic emblem of square and compass. 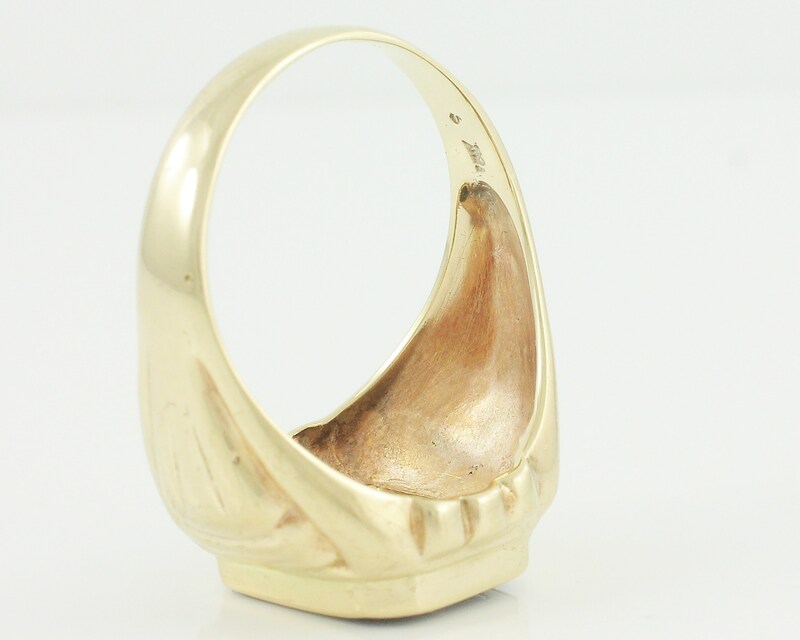 The ring has a distinctly Art Moderne style. 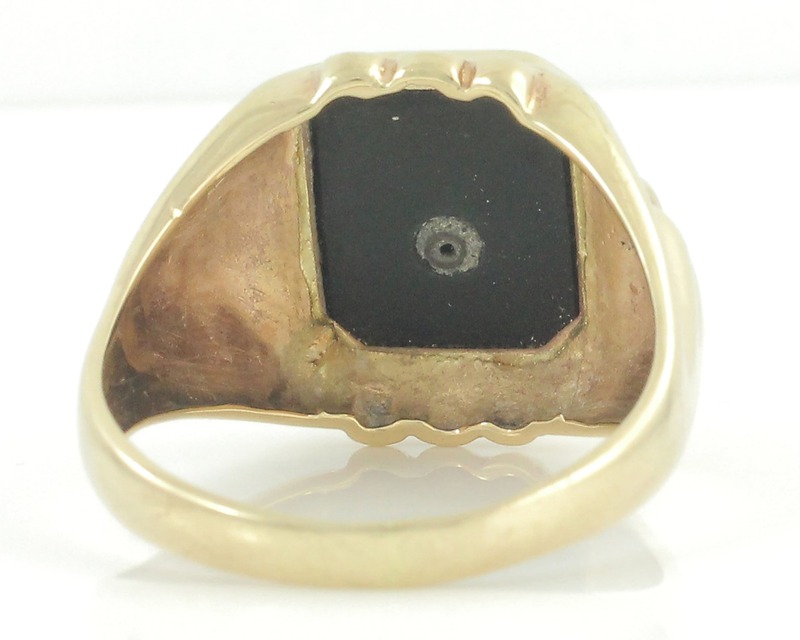 CONDITION: Good Vintage Condition, with surface wear appropriate to the onyx, including one small chip. 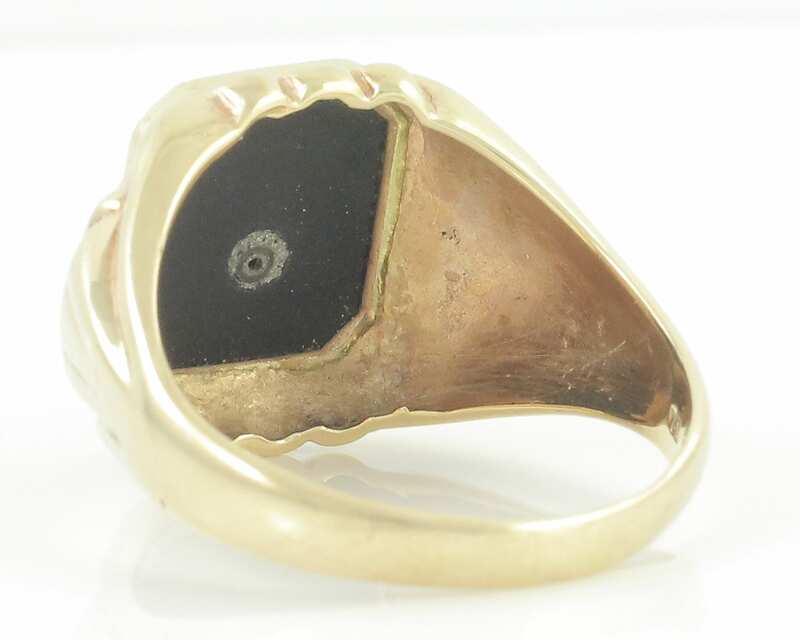 The setting is tight. 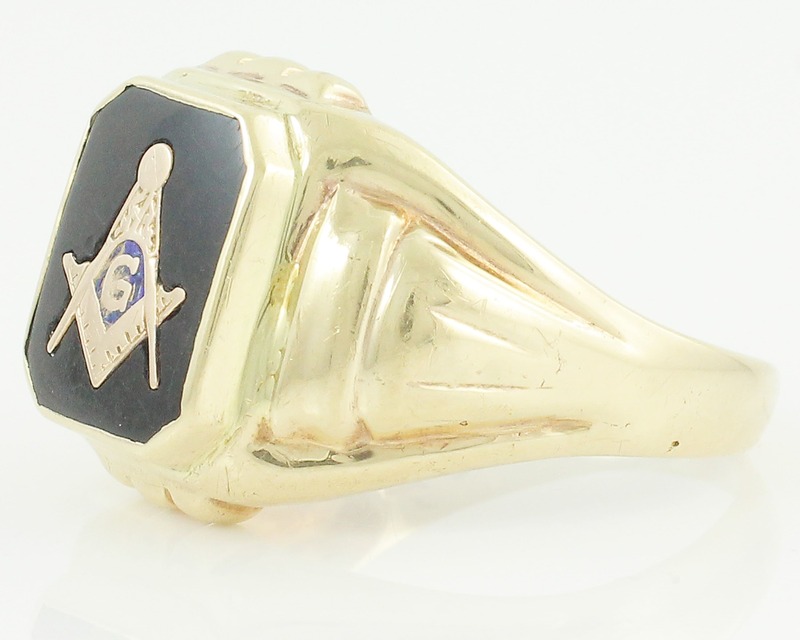 SIZE/MEASUREMENTS: Ring measures 18.7 mm wide at head and tapers to 3.25 mm at reverse of shank.